Welcome to the second instalment of my Foundation Friday series! I have to say, both weeks that I have done this, you guys have surprised me. I always thought that NARS Sheer Glow foundation would be one of the first reviewed - but each time its been overshadowed: first by MAC Cosmetics Face and Body Foundation and now by the Maybelline Better Skin Foundation. This was voted by 38 of you, out of 69 votes. I understand though - it's a new edition (previously released in the UK earlier in the year) and I'm not even sure if it's been released in the US yet! I was too excited to see this in Priceline, because it's been spotted in various Coles and Pricelines, but has been eluding even my local Priceline. Clearly, it's so new that it hasn't even rolled out to all stores yet, and only just recently hit their websites. I was drawn in by the name - after all, who doesn't better skin? 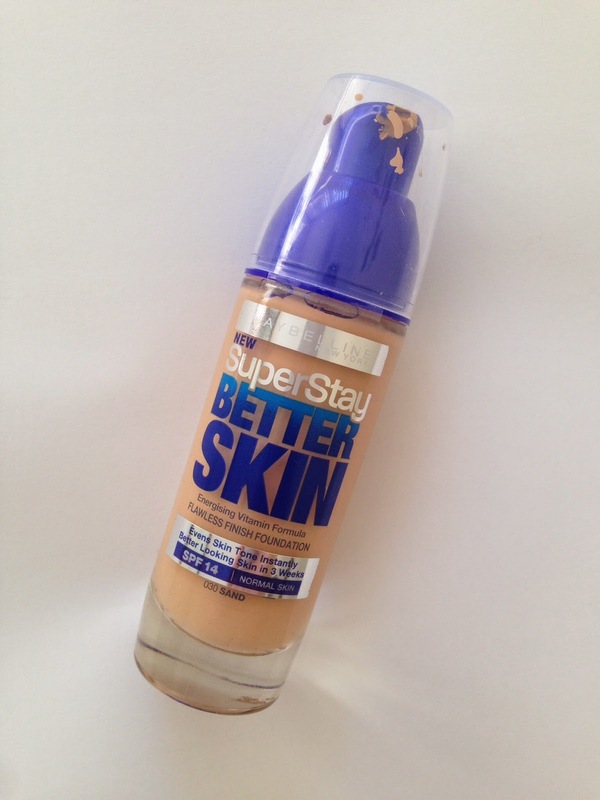 I don't know if you guys have tried the original Maybelline Superstay Foundation. I have, back in the day. While I wasn't a huge fan of the foundation itself, or its shade selection, I was also super pleased with the staying power. It was a MISSION to get it off my face. Which is amazing. 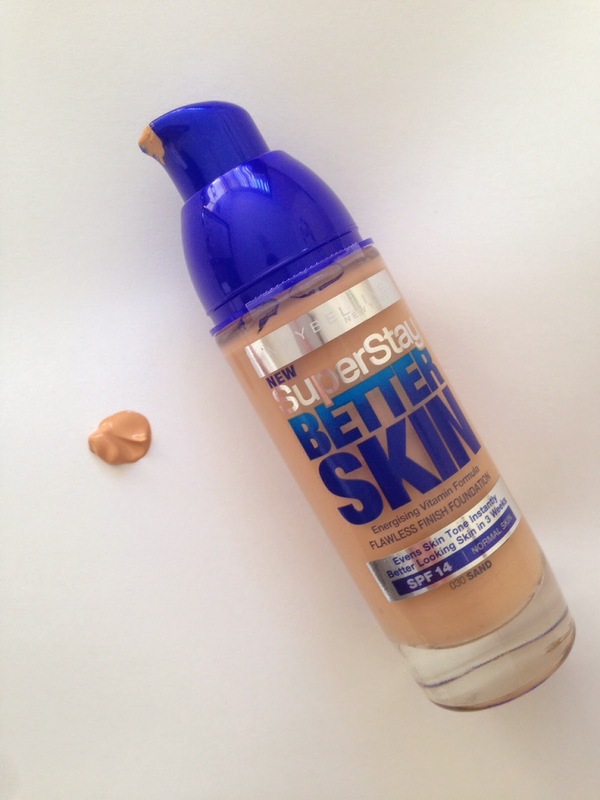 Would this be worse than the original Superstay formula, or possibly be my new favourite foundation? 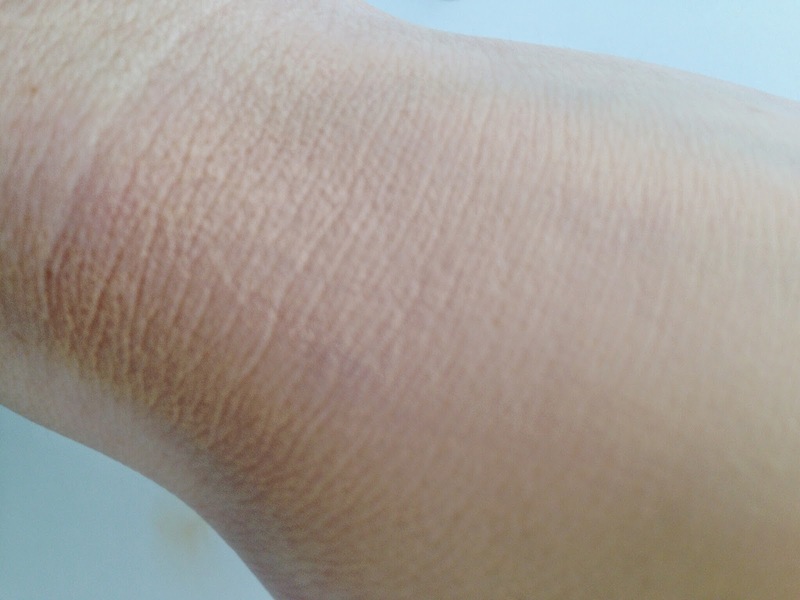 "Dull, blotchy, uneven skin? Visibly improves your skin every minute you're in it. Our first hydrating foundation with Actyl C and SPF 20. Flawless all-day coverage. The formula helps skin look more radiant, fresher and even, with all-day wear." It comes in a little glass bottle with a pump, with the packaging is okay - definitely eye catching, but I'm not sure if that's in a good way. It has been released with a concealer, but that wasn't available at the Priceline I went to at the time. Considering I had only vaguely heard of this foundation, I am a little surprised that there wasn't much hype around it before it got released here. In saying that though, it's pretty inconsistent with the stores its been released at across the board, so maybe they are waiting until it's available everywhere. So what do I think? Well.. I love this foundation. So so so much. It is definitely a thick creamy formula, if you can see in the above photo, and its a definite medium-full coverage foundation. It blends like a fricken dream, and I honestly need about a pump and a half to cover my face and achieve that medium coverage. I would describe the finish as a satin finish - it's definitely not dewy, but not quite matte either. I haven't tried to build it up, but I wouldn't recommend it. Given how thick the formula itself is, and how much coverage you can achieve using a small amount, I can only imagine that it may not build as well as you would hope. In terms of the skin benefit it claims to have, I am very happy to announce that while I am not sure this hydrates my skin any more than my normal moisturiser, my skin does look fantastic once I take this stuff off. The effect was not immediately obvious, but after wearing it and removing it after three days, I definitely did notice a difference. The other thing that Maybelline delivers on is the staying power - on me, this foundation lasts all day. And I mean lasts - I have not noticed any fading or patchiness, even on my nose and chin where my foundation usually wears off throughout an 8-9 hour day. It's terribly difficult to get off - I have been removing it with my normal make up remover (Garnier Micellar Water), then going in with my Clarisonic and a separate cleanser to get it all off. I'm not even exaggerating when I say that my Clarisonic brush head is now stained from this foundation. The only qualm I have about this foundation (yes, there is seriously only one thing) is the shade selection. Unfortunately, because this was so new at the Priceline I went to, there wasn't any testers available. So, of course being the impatient little cosmetic obsessed brat that I am, I guessed my shade. It's not too bad - only thing is it is that is does have a slight orange tint that seems to become more prominent as it oxidises. I will be buying another bottle when it goes on introductory sale, and hopefully that will match my skin tone a little better. Also, I wasn't self tanned when this photo was taken, so the shade looks worse than normal. It's not usually that obviously dark, so just excuse that. Basically, this is a new staple for me. I can see this being a foundation that I will repurchase time and time again, and I've only used it for a week. I don't even care that it is a little orange, although hopefully that will be corrected when I grab another shade.. That's how good it is. I love that this has been released for Winter, because it covers all my redness and any extra 'surprises' (see: big fat pimples) that Winter tends to bring with it. It may not be a perfect summer foundation because of how thick it is, but you never know - have to wait and see! This has been put up on the Priceline website (finally! ), so hopefully it will be available across all stores in time for the next catalogue. It's available in eight shades, and retails for $21.95AU. Thanks so much to everyone who voted - if there is a particular foundation you want me to include in next week's Foundation Friday choices, let me know in the comments below! Otherwise, keep an eye out for Monday to be able to vote on next week's contenders! Oh i must try this asap!